Northern Diver's Hotsox thermal socks are constructed from moisture-wicking fleece to a tailored design, with a special integrated heel protector. 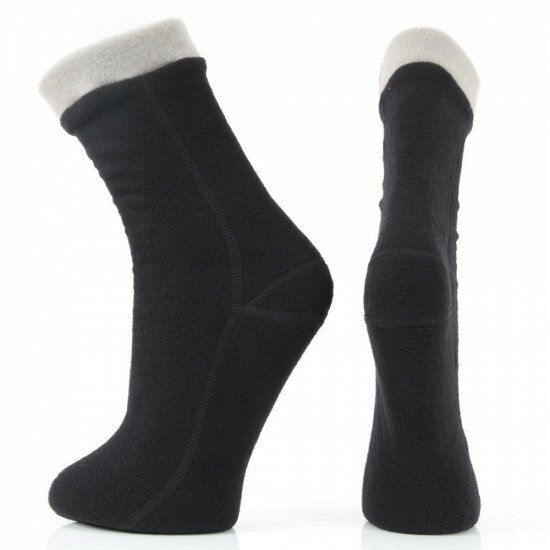 The socks are double-side flatlock stitched, so there's no raised seams to cause discomfort. They're better than just cotton socks, and keep the moisture away from my feet. However, in 4-6 degrees C water, I still need a pair of extra thick 2.5 tog socks on top just to keep it bearable. I started using my Hot Sox from the start of the season, with seabed temperatures around 7C and have found them to be very good. 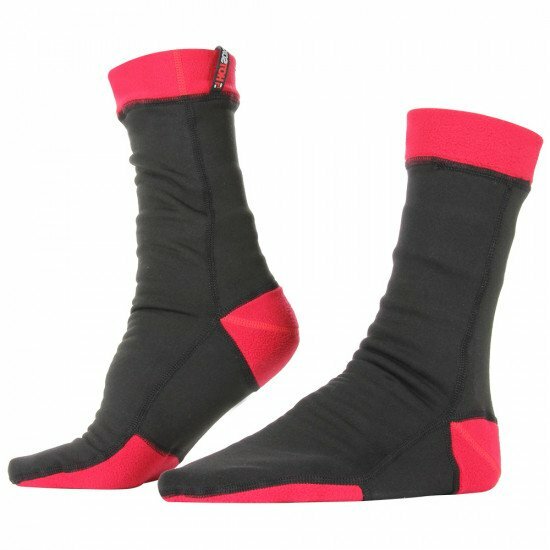 I wear them over a pair of ankle socks and they have been comfortable to wear and nice and warm as well. I find that they also help getting in and out of my drysuit as their smooth texture slides easily in the legs of the drysuit. They are quite thin and have replaced a very bulky thick pair of socks, which I used previously. My only reservation is that they will probably not last as long as a thick pair of socks. However, at the price, I would definately say that they are worth it.